The Prime Minister Laptop Scheme 2017 Phase 4 registration process is started now. Below are the complete details on how students can meet the eligibility criteria and how to register themselves for the PM Laptop Scheme 2017 (Phase 4). The PM Laptop Scheme is completely Higher Education Commission (HEC) approved and merit based. Only the qualified candidates can have the Laptops issued under the PM Laptop scheme. Students both male and female can apply for the PM Laptop Scheme 2017 phase 4 from all the provinces of Pakistan. Students can register themselves for the PM Laptop Scheme 2017 phase 4 by clicking here and after entering the 13 digit CNIC number. Already existing students can click here to update their information for the PM Laptop Scheme 2017 phase 4. The students need to submit their own CNIC, mobile numbers and email addresses during the registration process. Their provided data will be used for further processing. Incorrect details submissions will lead your application rejection. The registration for the PM Laptop Scheme 2017 phase 4 is valid till 30th September 2017. 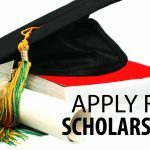 How To Apply For PEEF Scholarships 2017-18?